Yesterday my daughter with food allergies had her 12th birthday. Wow, time flies. It's been 8 years of living with a severe nut allergy diagnosis for her and she's had some ups and downs. Every year on my kids' birthdays, I reflect on what has happened so far in their young lives and for a child with food allergies, a lot of the time you are just happy to have made it through so many things unscathed. For example, elementary school has presented many challenges, mainly because of all the food. Next year, we move on to middle school, a place with few if any food-filled class parties, but with much more expectation of responsibility onto the kids and other, myriad new challenges. And not just for their own allergies--for everything. Middle school is going to be a whole new ballgame and of course I have concerns like any parent. Food allergies present just one piece of the puzzle. My daughter has learned to take care of her allergies to a large extent over these 8 years and she's also struggled with things, just like any kid dealing with food allergies. She's had to skip friends' birthday cake, miss out on class treats and feel concerned about things that others aren't. She's on the lookout for allergy pitfalls when I wish she didn't have to be. But here's the thing: she's OK. She's actually more than OK. I know that parents dealing with nut allergies in the early stages worry about pretty much everything that their child will confront. I know I did--it's pretty normal to wonder about how they will navigate through regular life situations when they've got a life-threatening medical condition. 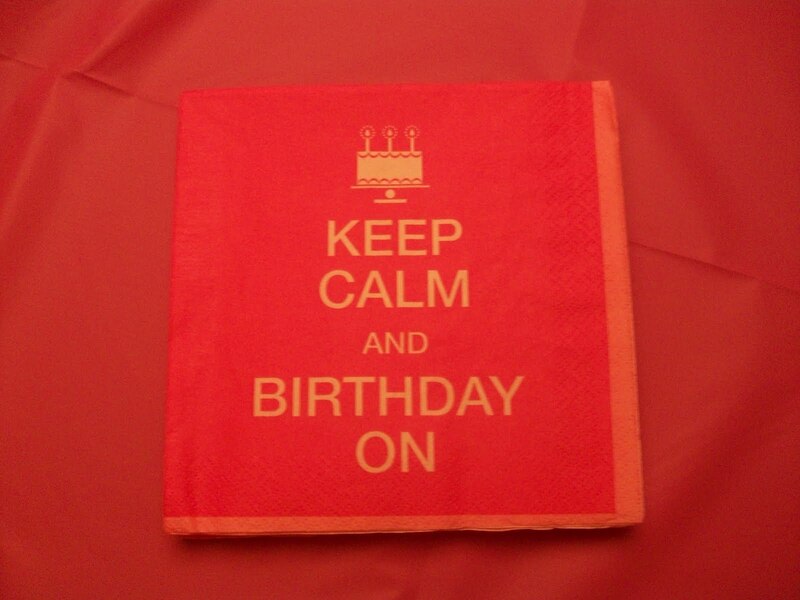 You may have seen the "Keep Calm and Carry On" merchandise that is currently popular today. 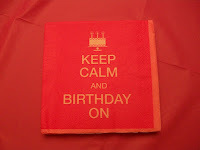 It has been subjected to all kinds of permutations such as the birthday party napkin shown in the photo above ("Keep Calm and Birthday On." My daughter picked out this theme). "Keep Calm and Carry On" was a slogan promoted to the British public in WWII, who were of course facing many horrors but were known for their stiff upper lip in a crisis. I think it's caught on today because it's just good advice. It's not always easy to "keep calm and carry on" when dealing with young kids who have food allergies. You witness the reactions or listen to their disappointment about feeling "different." But when you, the parent, adopt the "keep calm and carry on" approach and instill it in the kids as best as you can, it does seem to help. Here's a common scenario you might face: you're watching your child in tears because they can't have a piece of birthday cake. Hopefully you are prepared with another treat, you whip it out and calm down your child. "Here's your treat, now let's go and have fun," you say. Sometimes it works, sometimes it doesn't. Keep trying--eventually they will calm down and you can carry on. And that's pretty much the way it goes with food allergies. For those of you who are new to nut and/or other food allergies, it may seem like you have a long way to go to get to where we are now. Stay calm, expect challenges and don't beat yourself up about everything not being perfect. You will get there. If we can, you can. 1. WILL U.S. CELLULAR FIELD BE "PEANUT FREE" ON APRIL 17TH? A. No. Not all of US Cellular Field will be peanut free on this date. We are offering three sections that will limit exposure to peanut fragments. Peanuts will be sold to the general public during this game. 2. WHAT IS INCLUDED IN THIS $36.50 TICKET? A. This ticket includes your ticket to the game and $10 in Bonus Bux (stored value on the ticket used to purchase food and beverage). Ticket price does not include parking. Parking can be purchased in advance for $25. 3. WHERE WILL THE SEATS BE LOCATED? 4. WHAT IS THE BEST WAY TO GET TO THE SEATS? A. For the least peanut-exposed path to your ticket area we suggest you enter U.S. Cellular Field through Chicago Sports Depot (new team store located on the North side of 35th St). Proceed to second level of team store. Exit Chicago Sports Depot through the second level exit and proceed to the escalators straight ahead. Take Escalators to the Club Level. At the top of the escalators take a left to cross the bridge over 35th St. Once inside the Club Level concourse proceed to your left to the designated seating area. 5. ARE THE CHICAGO WHITE SOX GUARANTEEING THAT MY CHILDREN WILL NOT HAVE ALLERGIC REACTIONS DURING OUR VISIT? attending this event. First Aid as well as Guest Relations attendants will be on site to assist in emergency situations. 6. AT WHICH AGE DO CHILDREN REQUIRE A GAME TICKET? A. All children that cannot fit underneath the turnstiles (approximately 36") will need a ticket for this game. 7. HOW DO I ORDER TICKETS? A. Tickets can be ordered by mailing or faxing in a ticket order form. To request an order form, please email dmilliken@chisox.com. Tickets will be mailed to the address on the form once the order has been processed. You will need to send a signed waiver along with your order form. I'm thrilled to announce the launch of my first e-book today! It's been literally years in the making, since I've drawn on my own experiences parenting a child with nut allergies. You can buy it at Amazon.com--it's downloadable to your Kindle or PC. 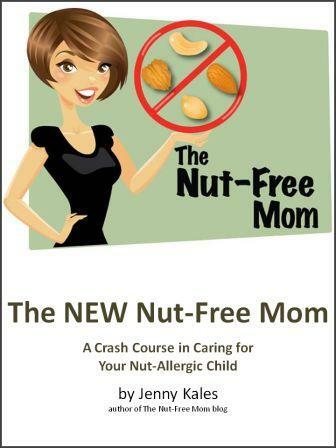 So many readers of this blog and my Nut-Free Mom Facebook page have the same concerns and questions and this book puts the key information that you want in the same place, in an easy-to-follow, concise and upbeat format. This is a parenting how-to and lifestyle guide, not a medical book, although working with your allergist is discussed. This book picks up where the allergist leaves off, speaking parent to parent, about the challenges we face every day. make your home an “allergy-safe” zone;decipher confusing food labels and grocery shop for allergies; educate friends and family members and about nut allergy safety;vet restaurants and other eating establishments for possible pitfalls; make your environment as safe as possible while still enjoying all that life has to offer; talk to young children about allergies and help them to be positive and self-advocating; adapt to your family’s new, nut-free way of life; nut-free resources, from foods to accessories; and more strategies to help you care for a nut-allergic child without going nuts in the process. This is the book I wish I had when my daughter was first diagnosed. The book is specific with regard to peanut and tree nut allergy issues, but much of the book addresses the things parents go through when dealing with any food allergy. Thanks to everyone who made this possible and for all the support I've received over the years from you, the readers of this blog and my NFM Facebook page! This one's for you. 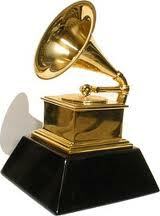 Food Allergy News: The Grammy Awards Take on Food Allergies with NoNuttin' Foods! Hey everybody, I just received this press release from NoNuttin' Foods, a fabulous allergy-friendly snack company that I recently learned about while researching allergy-free snacks. I thought it was great to share this because it shows how much food allergies and intolerances have become recognized in our culture. For more info about NoNuttin' Foods, check out their website. DUNCAN, BC – What snacks would you feed hungry music stars at the Grammy Awards this Sunday? Organizers of the dressing room snacks were asking themselves this question while trying to juggle all of the special dietary needs that many artists require. To solve this dietary challenge, they gave Vancouver Island’s own Nonuttin’ Natural Foods a call. “With artists from Sir Paul McCartney who is vegetarian to Lady Gaga who eats a gluten free diet, it’s not easy to provide food to the world’s greatest music stars. That’s where Nonuttin’ granola bars and trail mixes came to the rescue,” says Alana Elliott, President and Founder of Nonuttin’ Natural Foods. All Nonuttin’ products are free of 9 of the top 10 food allergens and are certified gluten free in the US. Elliott sent over 500 granola bars and trail mix packs to the Staples Center in Los Angeles where Sunday’s Grammy Award Show will take place. With 50 dressing rooms and a green room, Nonuttin’ products will be available in all of the rooms whether they hold a single artist or a band and their entourage. 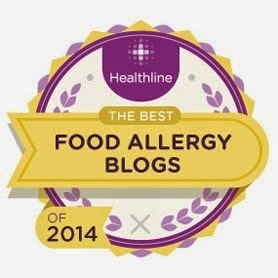 Food Allergy Review: What Does a Severe Allergic Reaction Look Like? The question that makes parents of severely food-allergic kids lose the most sleep: how will they know when their child is experiencing what could be a severe, life-threatening allergic reaction. OK--so back to the question. This is a wonderful thing to discuss with your doctor because symptoms vary depending on the person. If your child has experienced only "mild" reactions in the past, be sure to get very clear details from your allergist about what to look for. If you see the following symptoms, it may indicate a food allergy reaction. If several areas of the body are affected, the reaction may be severe or even life-threatening. Called anaphylaxis, it requires immediate medical attention. A epinephrine autoinjector is your friend so don't hesitate to use it. Parents are afraid that they will use it at the "wrong" time but there is no wrong time. This question is worth a call to the allergist--don't wait for the next appointment. It's so important to be ready for emergencies. FAAN has a wonderful Food Allergy Emergency Action Plan (FREE download) that your doctor can fill out for you. Keep them at school, at home and share this document with caregivers and friends. Valentine's Day and food allergies don't always mix, what with all the candy, chocolate and bakery items that are off-limits to those with food allergies. Peanut and tree nut warnings are on so many basic Valentine's Day chocolates, especially. Click this link to see a post I wrote last year about Valentine's Day chocolate goodness available nut-free and online. But order now if you want your goodies in time! Please also note: I state in this post that it's a good idea to avoid supermarket chocolate. That is still generally true, but some of that is changing. 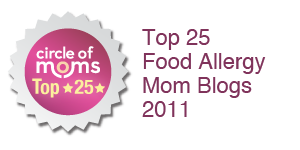 Check the labels of your favorite items for new/different allergen info. I'd like to add another nut-free chocolate company to the list I compiled in the link above: Dean's Sweets, one of my new NFM site sponsors. I discovered them late last year and a box of their chocolates would make a great Valentine's Day gift, especially for the grownups. Forget Fannie May, these are awesome AND nut-free. What about class parties and Valentine's Day with food allergies? I talk about that here. Exciting news: I'm working on some great Valentine's Day food tips for Allergic Living's FREE e-newsletter, out soon. If you haven't signed up for this free e-newsletter and you don't want to miss it, please click here to do so now. You'll see the newsletter sign up bar in the upper right hand side bar of the site. Who's attending a Super Bowl party this weekend or just watching with family at home? Me, too! Either way, snacks are a big part of watching this game. If you are attending a party and either you and/or your hosts are looking for peanut-free, tree-nut free snacks, I wanted to share this list of Super Bowl snacks that was sent to me recently by SunButter sunflower seed spread. The spread is peanut-free, tree nut-free and gluten-free. SunButter Sea Salt Caramel Corn is addicting, plus gluten-free and vegan! Sunny Muddy Buddies to crunch your nerves away! SunButter Chicken Wings! Adapt this by cutting chicken breasts into bite-size bites. (Increase the sauce ingredients by 1.5x as much, since you’ll be covering more surface area. Add some BBQ sauce if you’d like.) Your kids will not even notice the fruits and veggies you sneak into these yummy creations. SunButter Hummus – a perfect dip for veggies and chips! On another snack note, what about those Chex Mix snack mixes that everybody makes with peanuts? Make yours without. It's still good--and you can start a new tradition. Here's a nut-free Chex Mix snack recipe I found at the blog Finding Joy in my Kitchen. Remember, with any ingredients mentioned here or that you choose to use, please check the labels for allergen info. 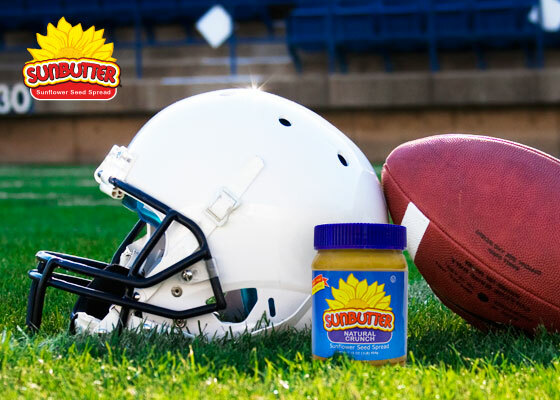 What are some of your favorite nut-free Super Bowl snacks? 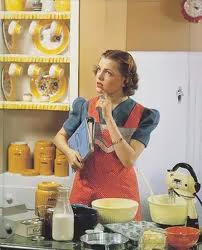 Let us know and leave your recipes if you like! We have a winner of the Sweet Alexis Cookie Valentine's Day cookie giveaway: Amanda W. (at the Party of 5 blog)--Congratulations! You win a dozen Valentine's Day cookies, courtesy of Sweet Alexis egg-free, nut-free and dairy-free bakery. Please e-mail me at nut-freemom@sbcglobal.net so that I can get your address and shipping info. Thank you to everyone who entered! For those of you who didn't win, I hope you will check out Sweet Alexis Bakery for some great treats. They have a storefront in California but they ship if you buy online. Visit their website for all the yummy details. This week is turning into unofficial cookie week on The Nut-Free Mom blog because I have another wonderful nut-free cookie company to tell you about: 504 Foods. Under the brand "Zack's Cookies," 504 Foods is now working to make delicious, nut allergy-safe chocolate chip and sugar cookies available to schools, universities, summer camps, hospitals and other venues. 504 Cookies are made in a dedicated nut-free commercial bakery using only nut-free ingredients, with periodic testing for allergens. They are preservative-free and free of trans fats. They are currently sold as frozen "pucks" to bake on site and as packaged, pre-baked treats. And they taste great! We received some samples of these cookies last week and the reason I don't have pictures of them is because my kids polished them off in no time flat as an after school treat! These are really tasty cookies--anyone will love them, not just people with nut allergies. I can't even imagine how great it would be if my daughter had more options in the school cafeteria. It takes the pressure off of parents, and helps kids with nut allergies to feel like they have choices instead of always bringing everything from home. If you want to find out more about 504 Cookies' "Zack's Cookies" brand, and how to get them at your school or institution, visit the web site. 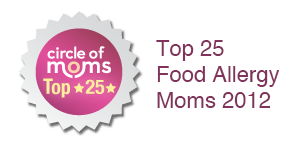 A special thanks to Kelly of Food Allergy Mama for introducing me to her friend Meredith and 504 Foods!